Daily cleanser/toner/make up remover for normal to sensitive skin. No rinse formula lifts dirt, oil, makeup, and even pollution on contact with no harsh rubbing necessary. 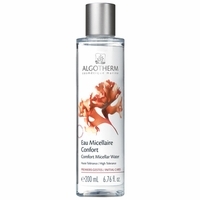 The anti-oxidant water soothes the skin, while the glycerin hydrates. Use daily with a cotton pad as a cleanser, toner or make up remover. 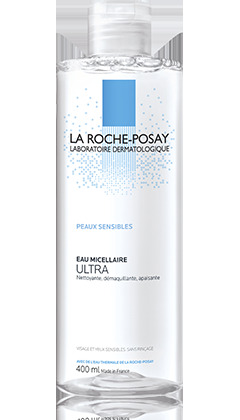 Ingredients: Aqua/Water, PEG-7 Caprylic/Capric Glycerides, Poloxamer 124, Poloxamer 184, PEG-6 Caprylic/Capric Glycerides, Glycerin, Polysorbate 80, Disodium EDTA, BHT, Myrtriminium Bromide, Parfum/Fragrance.